I don’t know if I have a firm grasp on the outcome of the episode, or the implications of what’s to come, but I like it. It feels like we’re building up to something huge, and the finale is sure to hurt in many ways. But in the meantime, we’re treated to lots of angelic family drama, mainly centering around the fact that God cannot apologize. The exploration of Chuck’s characterization has been amazing, with the conflicting approaches to how he deals with his children and his creations. Quite a change from the old prophet writer Chuck we grew used to. He has had to balance intervention with letting the world play out as it is, along with all the destruction that brings. Not to mention the fact that he’s locked away two dear family members eons ago because of their transgressions. His favorite son is bitter and angry over his father’s apparent betrayal. And all he’s ever wanted is for God to acknowledge that he’s sorry. And when he can’t get his way, he acts like a bratty kid, which I found funny. 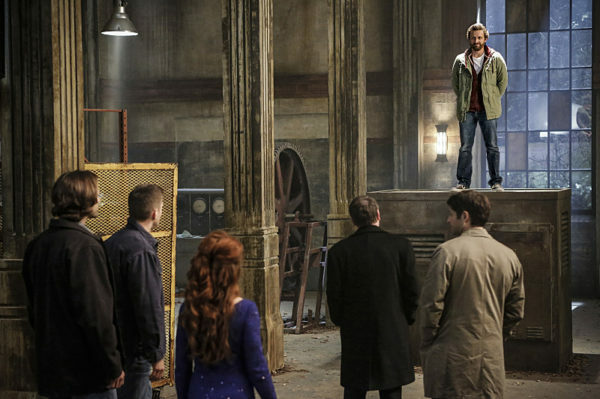 Daddy wants to pull the power card, then Lucifer’s going to play his music loud and brood in his (Dean’s) room. Cas is eternally more interesting to me when he’s playing someone else, or someone more powered. Seeing Lucifer deal with his issues, wearing Cas’s face, has been an intriguing adventure, for both myself and I’m sure Dean as well. 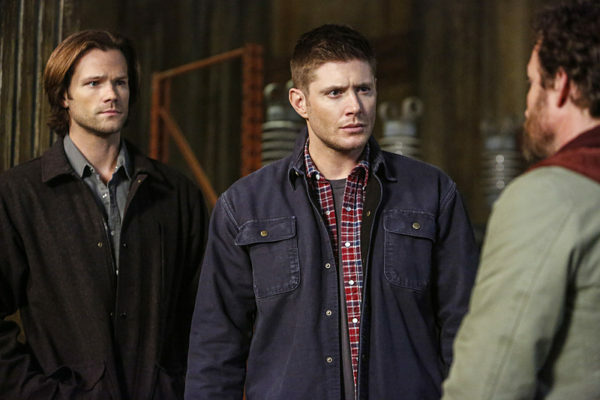 I liked seeing Lucifer and God attempting to come to terms with their long-standing feud, thanks to the Winchesters playing relationship counselors. And I also liked that God finally admitted that he did have a favorite child and it was Lucifer. That conversation reminded me a lot of John and Dean’s relationship. God gave Lucifer that Mark because he thought his favorite son could handle it, but then punished him when the Mark changed him and it didn’t go according to God’s ultimate plan. John did the same thing, in part, when he tasked Dean with the impossible task to always keeping Sam safe and punishing him when the outside world won out against a young boy who was forced to grow up too soon. God and Lucifer finally made amends, with God apologizing for his choices, and they could once again fight on the same side. Dean got an apology from John before he died, but was once again given an impossible task, so he never got the outcome that he needed in terms of forgiveness. It’s an eternal component of who he is, and has shaped him throughout his life. While I appreciated that God acknowledged he couldn’t bring Raphael and Gabriel back in enough time for it to make a difference, I still wish I could see Gabriel again. I miss him, along with a few other characters, and I often long for their return, if only temporarily. Witches and demons and other angels just aren’t the same as a couple of archangels, but I guess the groups did okay. Enemy of my enemy and all that. Sadly, as many times happen with the Winchesters’ plans, it did not turn out the way they intended. All the witches died, Sam didn’t get the Mark, and Amara took over God’s form in order to slowly kill him. She will not return to her prison, and she will not let her brother win. I’m curious as to what the bright light was that Rowena saw at the end. 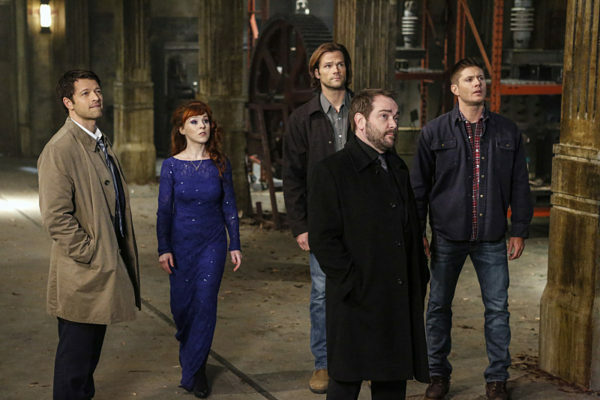 It’s so jarring to see Supernatural in any kind of light that the significance feels huge. Perhaps the world really is going to burn. The whole situation with Amara is confusing and complex. All she wants is an apology, too. The whole equals versus subordinates concept of why the family battle happened in the first place, I can see both sides, but I was on board with the tactical assault against her. I understood why God didn’t want to kill his sister, both out of love and a need to have a balance in the universe. However, I still don’t quite understand the hold Amara has over Dean, what her endgame is, or what the preview means for Dean. Is he once more sacrificing himself for the greater good? 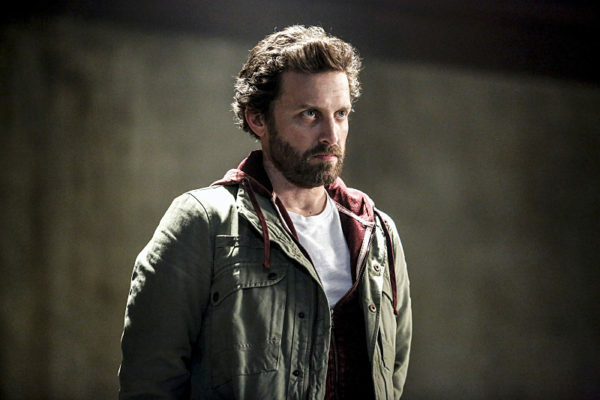 And while I get that Sam wants to step up, making secret deals with God behind Dean’s back was never going to end well, even if they succeeded. The Winchesters know, but never listen — they are stronger together than apart and secrets never end well for either of them. I wonder how it’s going to end this time around. Death and despair seem to be knocking.